The alpine surfer simulator hire is a great fun game for Christmas parties and events. The ”arcade alpine surfer simulator hire” is one of the best winter sports games we have available. We also have the alpine ski simulator available for hire. These games really are in demand over the December period so please book early to guarantee availability. We hire alpine surfer simulators to a wide range of clients and venues, and they really are great fun. All our arcade machines are set on free play, so the guests can use them as much as they like. With the alpine surfer simulator hire, the aim of the game is to get down the course in the fastest time possible, as you reach certain checkpoints you gain time and continue the race. With the alpine surfer, every little movement you make with your stance or balance is replicated by the player on the monitor in front of you. This is great as the guests behind the player can watch all the race action. The snow boarding game and the snowboarding video game are great fun for guests. For a winter sport arcade game hire Alpine Surfer. The alpine surfer for hire is a great fun game. 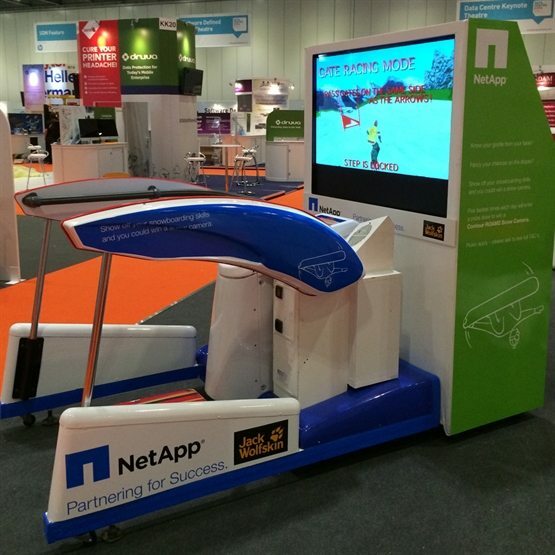 We hire snowboard simulator game throughout the UK and they are always very popular. If you are looking to hire snowboarding simulator games then we will have the best games for you. The arcades games hire is great fun for guests. The arcade machine hire will really add a great attraction at your event. We hire arcade machines to a wide range of clients and they are always very busy. The Alpine surfer simulator hire is a great attraction at events.We also have the inflatable snowboard simulator, here the aim is to stay on as long as you can. But this is also a great seasonal game that will be enjoyed by all your guests. We hire alpine surfer simulators throughout the UK and they are always one of the busiest arcade machines. We have the full selection of arcade games and you can hire as many as you want and turn your event into a full amusement arcade. We also have all the other fun games available to hire from the fun casino tables to the giant scalextric. Alpine surfer simulator hire is great for all ages.